Contact an agent today to help you find what you are looking for. Whether it be residential, multifamily, or commercial. Regardless of your reasons, personal or business, Re/Max is here for you. Re/Max Affiliates Agents in Northeast Philadelphia of Pennsylvania can get you through the process of Buying and Selling property so your hopes can become reality. Real Estate Agent Services in Philadelphia, PA are there to make the journey of buying and selling a home a little easier on you. Real Estate Agents in Philadelphia, PA will be there for you from the moment you reach out for the first time to the final moment. Services include appraisals, inspections, insurance, pre-approval, and guidance through all the legal paperwork involved. 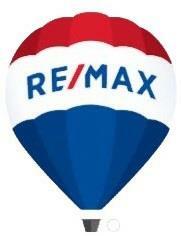 Contact us today and let a Re/Max Affiliate agent help you.